If you're looking for dividend yields, it pays to look at MLPs, or master limited partnerships. Many have traded down with the decline in oil prices. This article was originally posted on Dividend Stock Advisor on Oct. 16, 2014 at 3:13 pm EST. NEW YORK (TheStreet) - Crude oil has dropped seven of the past eight sessions and West Texas Intermediate prices are flirting with the $80 level for the first time in more than two years. As we continue our spotlight on the high-yield energy plays, today we will focus on the health of five of the largest energy master limited partnerships (MLPs). A lot of these are stocks that readers currently own, or may be currently considering, as the yields have risen significantly in recent weeks. Up first is Williams Partners (WPZ , which is a midstream play, that gathers, transports and processes natural gas. The stock is changing hands at $51.74 and is down more than 2% month-to-date. The company pays a quarterly distribution of $0.9165 a share (7.1% yield), which has increased 18 straight quarters. Williams Partners is currently not generating enough distributable cash flow to cover its payout, but the company has a solid balance sheet and about 70% to 75% of its business is fee-based. There's also a potential game-changer on the horizon for William Partners. It's general partner, Williams Companies (WMB - Get Report) , has proposed a merger with Access Midstream Partners LP (ACMP . WMB also owns 50% of Access Midstream, which is a smaller midstream natural gas play. The proposed deal would materially increase Williams Partners' growth potential and lend further credence to future dividend boosts. It's worth noting that outside of WMB, the company's next four largest holders are MLP exchange-traded funds (ETFs). If more money pours out of these funds, it could lead to more forced selling in Williams Partners. Even so, we believe the stock is attractive to purchase under $50. Next, Regency Energy Partners (RGP , is also a natural gas midstream company, with gathering and processing assets. The stock is trading around $30.27 and is down about 7% month-to-date. The company pays a quarterly distribution of $0.49 a share (6.5% yield), which has been increased five straight quarters. About 75% of Regency's business is fee-based and the company has minimal hedges on its commodity-related operations. This places the future dividend at risk, as the company is already paying out more than 100% of its distributable cash flow. Relative to its peers, Regency has higher expected growth in the coming years, but also carries more debt. In addition, according to the most recent quarterly filings, more than 40% of the shares outstanding are held by sector ETFs. Given these potential risks, we believe the stock should be sold/avoided at current levels. Plains All American LP (PAA - Get Report) is a midstream play with pipelines and storage terminals for oil and refined products. The stock is changing hands around $55.70 and has lost 5% month-to-date. The company has a quarterly distribution of $0.66 a share (4.7% yield) and has increased its payout 21 straight quarters. Investors at the close of trading on Oct. 28 will qualify for the next quarterly distribution on Nov. 14. Plains All American's dividend yield is smaller than some others in the industry, but its payout is also backed solidly with cash flow. About 70% of the business is fee-based and the company has strong organic growth potential, with a $7.5 billion backlog of approved projects. It's worth noting that five of Plains All American's six larger investors are ETFs. That said, the company has a solid balance sheet and we believe the stock is worth buying when the yield moves above 5%. Oneok Partners LP (OKS is a diversified midstream player that focuses on natural gas and natural gas liquids (NGL). The stock is trading around $52.47, which is down some 6% month-to-date. The company pays a quarterly distribution of $0.76 a share (5.8% yield) and has boosted its payout 20 consecutive quarters. Oneok maintains a strong balance sheet and generates consistent cash flow to cover the dividend. The company is targeting 6% to 8% annual growth over the next few years, which is higher than the industry average. About 70% of Oneok's business is fee-based and the price of natural gas has seen more stability than crude oil. Outside of the general partner, Oneok, Inc. (OKE - Get Report) , the company's next four largest holders are sector ETFs. Even so, given Oneok's above-average growth outlook, the stock appears attractive to purchase when the yield moves above 6%. Finally, we will look at Linn Energy (LINE . The company is an upstream producer with a nearly even split between natural gas production and oil/NGL production. The stock has lost 19% month-to-date and is changing hands around $24.35. 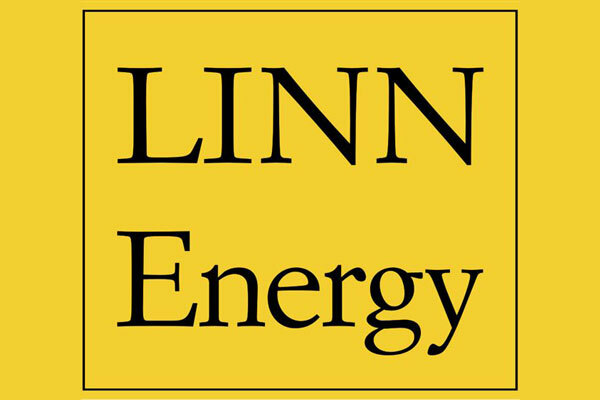 Linn Energy pays a monthly distribution of $0.2416 a share (11.9% yield) and has maintained the same payout since July 2013. The company has not consistently covered its dividend with distributable cash flow in recent quarters and little to no near-term payout growth had been expected, even before the recent decline in crude oil. Dividend investors seek consistency and Linn Energy's results have been all over the map in recent quarters. The company had previously faced rising operating costs and is now experiencing a declining oil price. Linn Energy hedged all of its oil production for 2014, but has only hedged about 50% to 60% for the next couple of years. All of its natural gas production is hedged out for the next few years, but the company has the largest exposure to declining oil prices of any the names we've mentioned today. Management has attempted to improve its operating results and liquidity with recent asset swaps, but these acquisitions and divestitures add execution risk to the thesis. In the meantime, Line Energy has an above-average debt leverage, with net debt of 1.86x equity. The company's yield is twice as high as some of the others in this list, but we believe that Linn Energy should be sold/avoided at current levels. Investing is a total return game, and we believe the potential risks outweigh the possible returns, relative to some of the other names on this list. David Peltier is a research associate at TheStreet. In keeping with company editorial policy, he doesn't own or short individual stocks. He also doesn't invest in hedge funds or other private investment partnerships. Under no circumstances does the information in this column represent a recommendation to buy or sell stocks. Peltier appreciates your feedback; click here to send him an email.